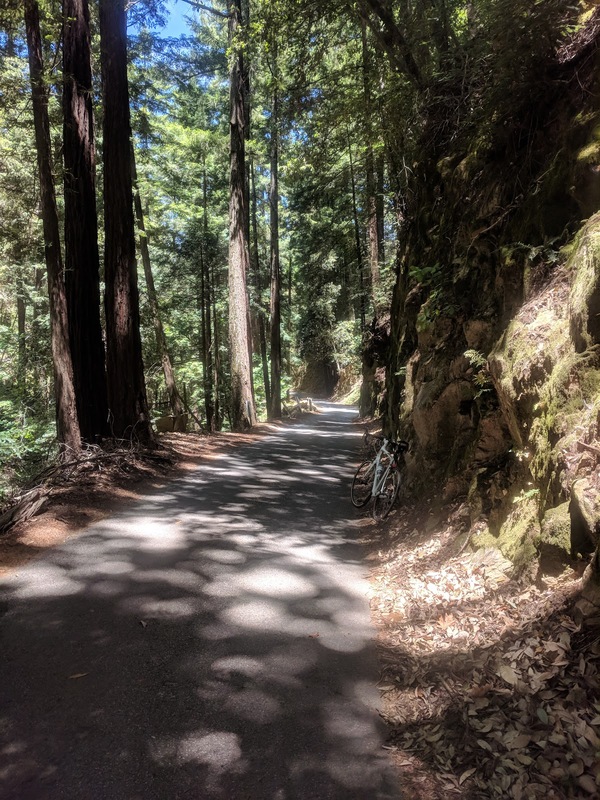 Today I went for a long ride through Santa Cruz, and back on Zayante Road. 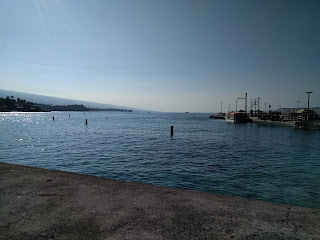 Consider the rate of posts on this site, you might imagine that I'm doing all sorts of rides and just not writing about them. Perhaps they're not sufficiently noteworthy. And to a degree that's true -- I commute to work on the bike most days, and those rides are clearly not memorable. But all other rides are included here, because I have clearly have no standard for noteworthy-ness. In this case, a long weekend means that I had time for a non-commute ride, despite the heat. 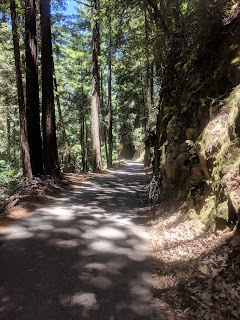 I decided to head through Santa Cruz as usual, but in a very slight variation I decided to take Zayante Road back, since I hadn't done that in a while (not that I've ridden anything else in the area recently). I got started around 8 after watching the end of the opening stage of the Tour de France. It was already a little warm. 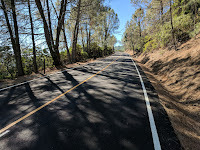 I felt pretty good on the ride past Lexington Reservoir into Santa Cruz, despite not doing any climbing for a year or so. 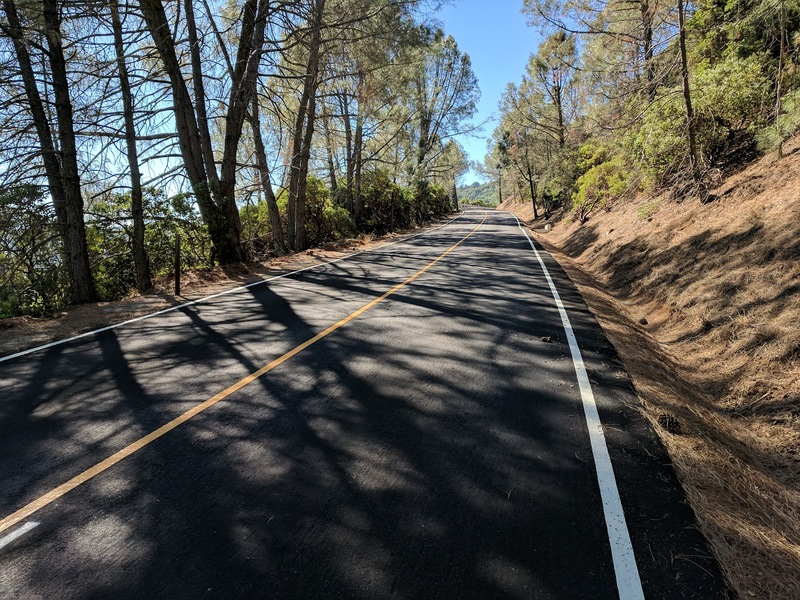 San Jose-Soquel Road was very smooth on the descent. I had planned to get lunch at Betty Burger, which is conveniently located and has outdoor tables, which is I think is only fair to my fellow diners. In the event I got there shortly before it opened at 11, so I dawdled. After lunch I was noticeably more sluggish, but it was also much warmer. 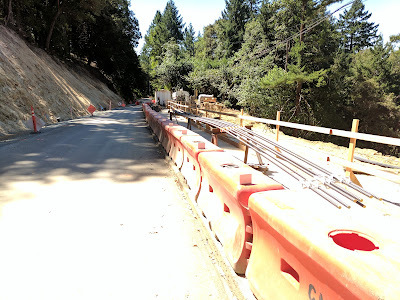 Zayante was heavily damaged two winters ago, and frankly I didn't know whether it had been repaired. But that was a long time ago, so I figured all was well. 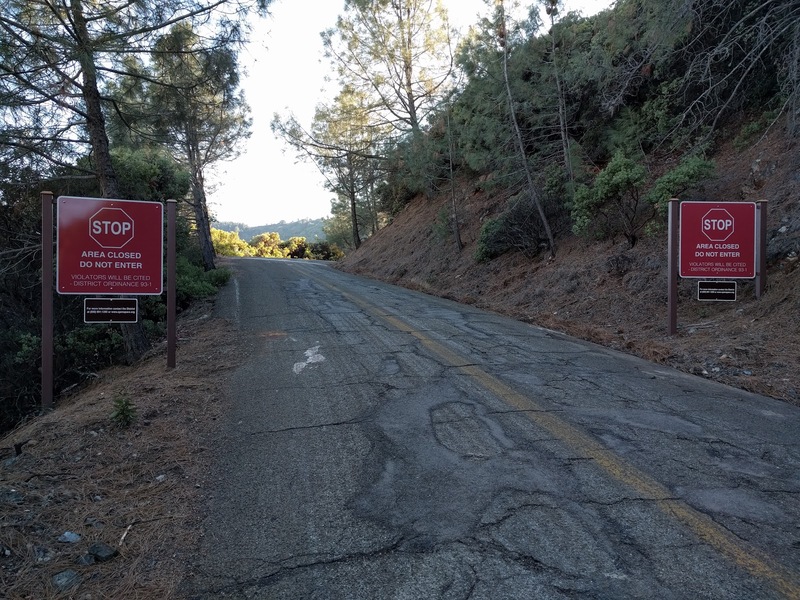 Imagine my surprise when, after climbing much of the way up the road, I started to see "Road Closed" signs. Turning around would have been very costly, and the heat was beginning to sap my meager strength. But living in this area has trained me to ignore most road signs, and this was no different. As it turns out, it was tree trimming. I waved and rode through it. Today's ride was 71 miles, with 5600 feet of climbing. 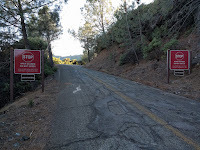 The most difficult kilometer was on the first part of the Zayante climb, just before the "Road Closed" signs as it happens. 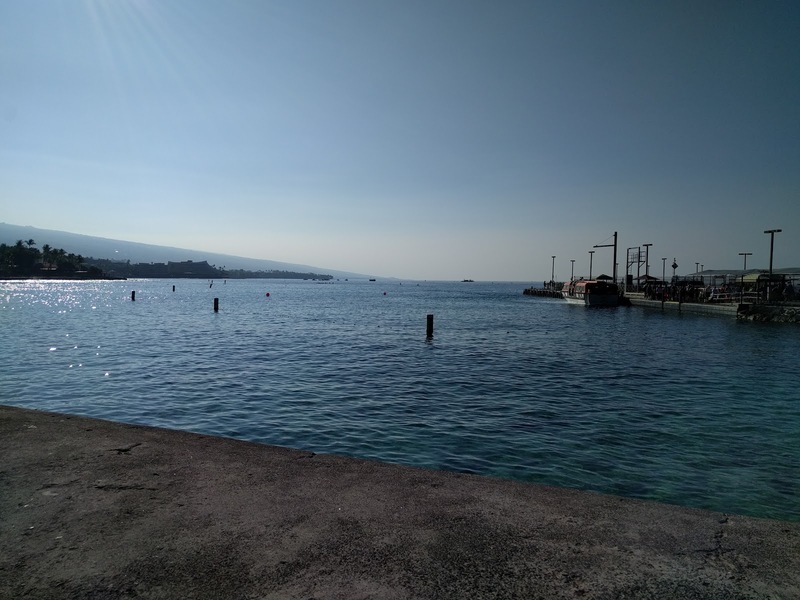 That's also when the heat was really getting to me, so it felt difficult, too. 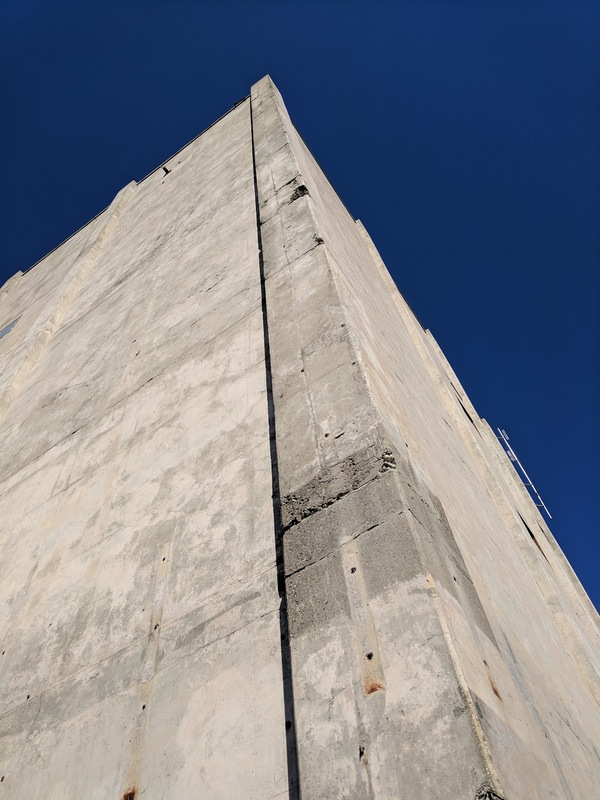 Opening up access to the summit of Mt. Umunhum seems to be making progress, however glacially. 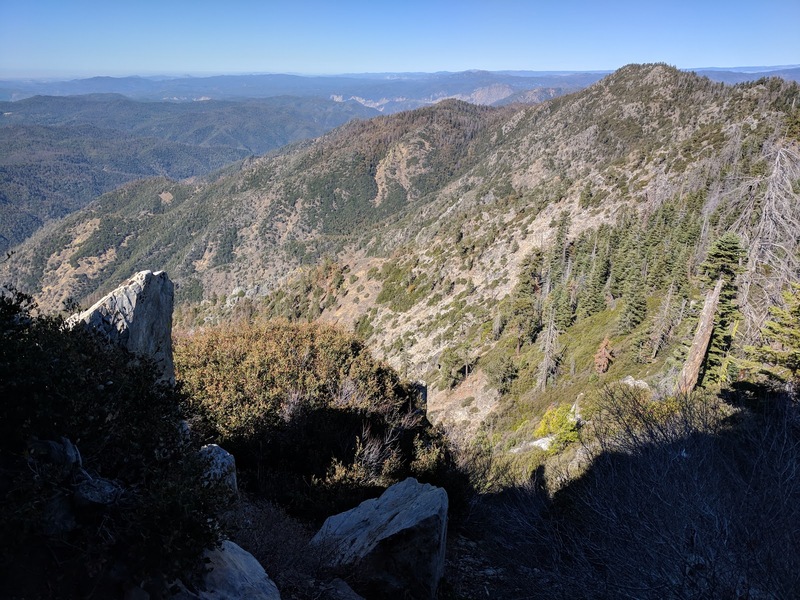 In a recent Midpeninsula Regional Open Space District Board Meeting (minutes), the board addressed an issue that's been discussed on this blog before: access to the road leading to the summit. 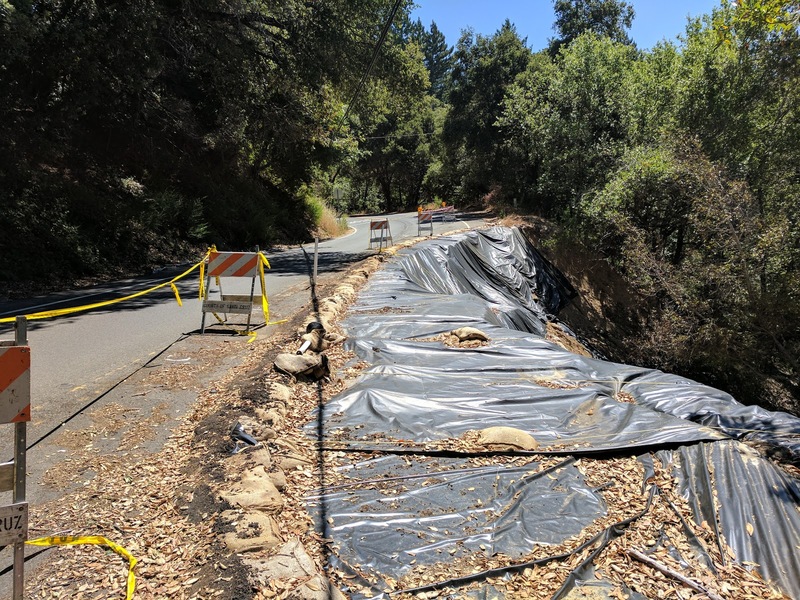 Specifically, MROSD is working on plans to re-pave and partially rebuild the road, and have initiated proceedings to acquire rights to the road through eminent domain. 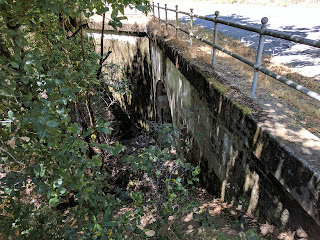 The road passes through private land. That's not necessarily a problem; lots of public roads do that. Normally the public holds an easement, a right to use the road. That's a restriction on the landowner's rights, but in exchange they get the use and maintenance of the road. In the case of Mt. 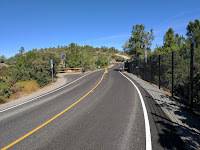 Umunhum Road, I'm under the impression that the road was built to support the Almaden Air Force Station, and clearly the landowners benefited from its construction. Five years ago I assumed that whatever easement was in place was still in force, and the Open Space District may have agreed, but the homeowners construed the easement to apply only to official use. 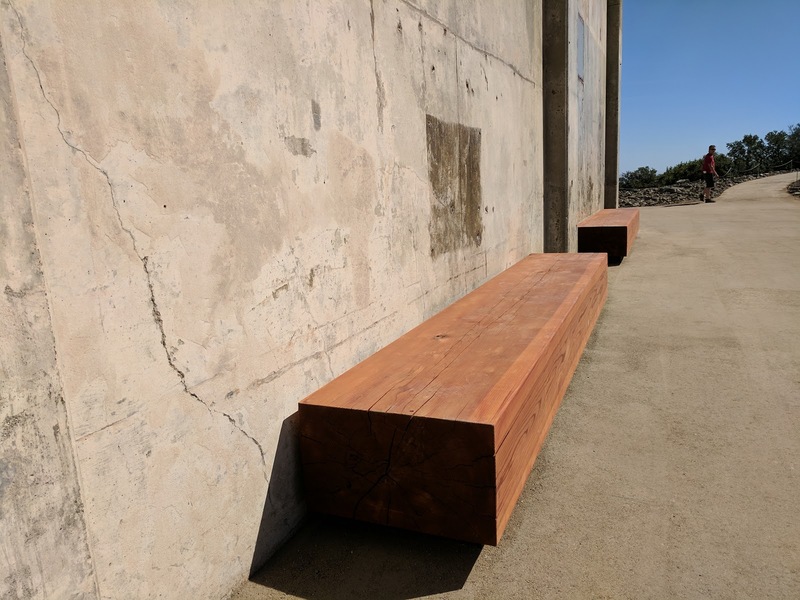 The Open Space District has been trying to negotiate with the owners but they haven't budged, so the last resort is condemnation. 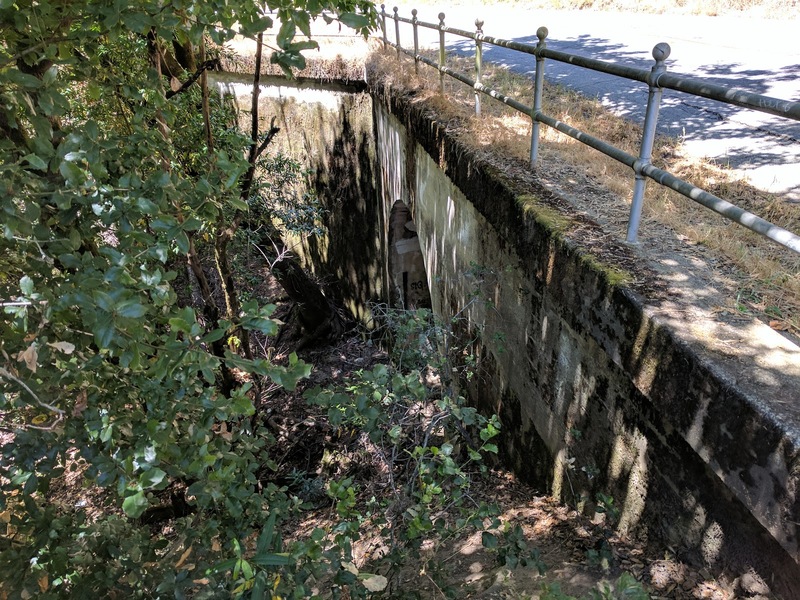 Don't feel too sorry for those landowners; they will get an improved and well-maintained road, practically zero new traffic, and about $400k each. In order for the District to construct road improvements during the 2016/2017 construction season, condemnation proceedings for Mount Umunhum Road rights have been initiated with the Santa Clara County Superior Court to obtain possession of the necessary rights. Woohoo! I don't know much about law, but I'm pretty sure that in order to finish a case you have to start it at some point, so that seems like a milestone. More seriously, I'm sure it would go more quickly if the landowners would settle, but if they were reasonable we'd have had access long ago. The minutes linked above are a pretty interesting read, as meeting notes go. The plan is not only to repave the road, but also to address drainage and stabilize slopes along the road. 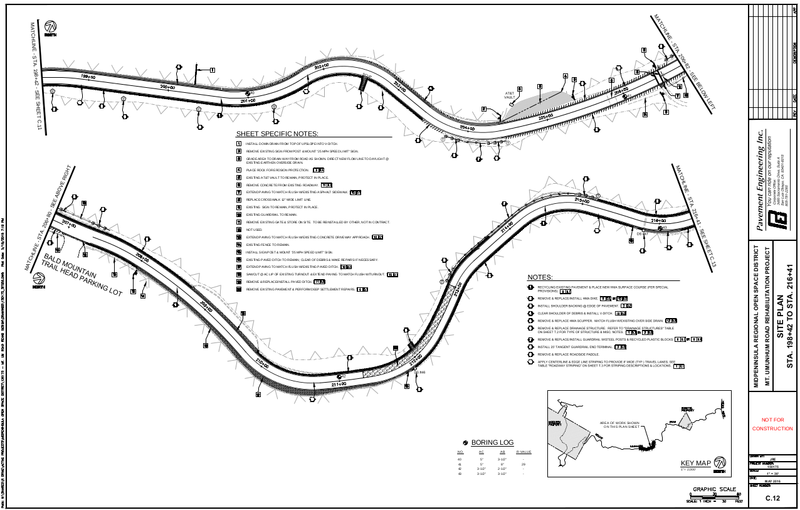 The new road will also have pull-outs and improved guard rails. 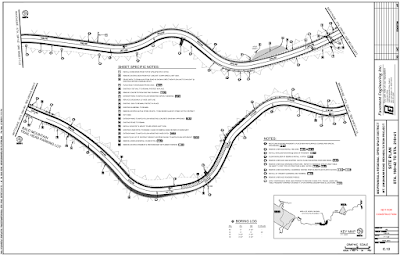 The minutes include detailed drawings like the one included above for the whole route, from Hicks to the summit. 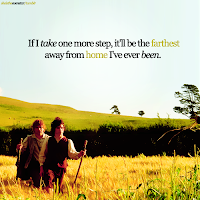 When I started riding my bicycle up Mt. 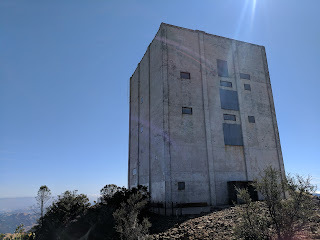 Umunhum I wanted to see the old Air Force station in its "ghost town" state, before it was torn down. I guess that ship has sailed, but perhaps the consolation prize will be a legal ride up to the summit some time before I'm too old to make it.